On rare occasions, I pick up books that are outside my typical comfort zone. I generally like thrillers and some historical fiction, and I love character driven stories. If all three are combined, then we have a book that will get read as quickly as I can turn the pages. However, this story is just a bit different. It definitely is centered around a well written character. The subject matter may be just a bit uncomfortable, but it will keep you engrossed until the end. 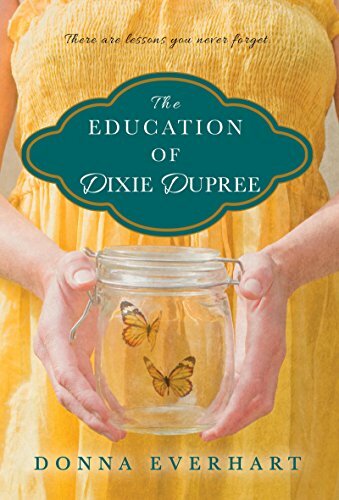 The Education of Dixie Dupree by Donna Everhart is told from the perspective of eleven-year-old Dixie Dupree, a serial liar. It is 1969 in Deep South Alabama. Dixie’s parent’s are from two different worlds, and the cracks are widening between the two. One, an Alabama native, loves his family and his home. The other, a socialite from New Hampshire longs for the New England life. In the midst of all this, Dixie records her life and that of those around her in a diary. When tragedy strikes the family and her Uncle Ray arrives from New Hampshire, Dixie’s life takes an abrupt change. Throughout all this, Dixie continues to tell her diary everything. However, she has been known to fabricate stories in her past. Because of this, when something happens in her life, she is looked upon with derision. When I started reading this, I had the ending mostly figured out. The plot was telegraphed from almost the beginning of the book. There were a couple of twists, but they were mostly in the subplot. The one twist I did not expect was about Dixie’s grandmother. I had that pegged differently. This is supposed to be written as the diary of an eleven year old girl. Having a daughter of the same age in the house, I can tell you that it is written well above what she could write. That’s okay, though. The book is supposed to be her experiences, but it’s also supposed to be able to be read by adults regarding the subject matter, which in itself was very serious. While Donna Everhart did not capture the essence of an actual eleven year old girl, she set forth on a quest to bring life to her characters. She did that very well with Dixie. The other characters in the book were mere set pieces that Dixie reacted to. There’s not a lot of depth to these other people in the book. However, that may be the product of it coming from an eleven year old, making it a successful part of writing from that point of view. Children don’t grasp the way other people move through the world, and these other characters definitely floating through without much depth. One moment of intensity with the other characters comes with a battle of headstrong women. One is Dixie. The other is her mother. In one of the best developed scenes of the book, these two go head to head as only a mother and daughter can. Living in a house with four daughters and seeing how they interact with my wife sometimes, I could see each one of the girls and Wendy reacting in exactly the same manner as Everhart has written the showdown between Dixie and her mother. The story is very well written, and will keep the reader wondering exactly how the obvious ending actually gets resolved. It did not take very long to read because of the pace of events throughout the narrative. Those 352 pages fly by, and you wonder how you got to the ending so quickly. This is Donna Everhart’s debut novel. Her next work is due out in January 2018. 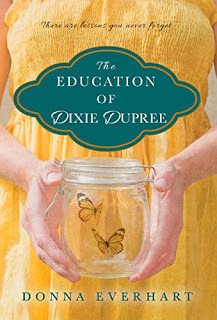 In the meantime, there is plenty of time for readers to enjoy The Education of Dixie Dupree while they wait for a new novel. I generally disregard most reviews I read on Amazon, but this one lived up to most of the hype it was getting there. I look forward to her next novel. Craig Bacon has a pile of books to get through and so little time. Immortality might be his only option at this point.